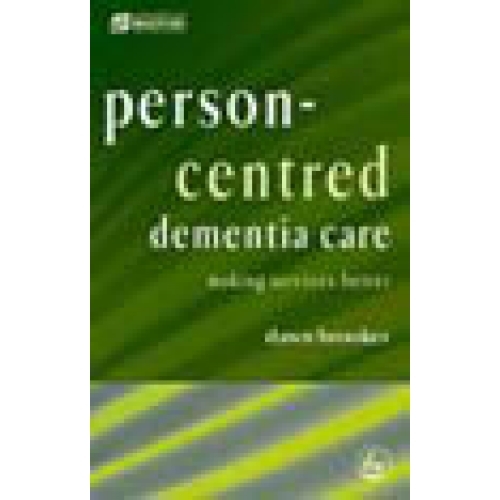 The term person centred care has been widely used, misused and ill defined. It is used frequently in the aims and objectives for dementia care services and provision, although in practice what lies behind the rhetoric can be questionable. 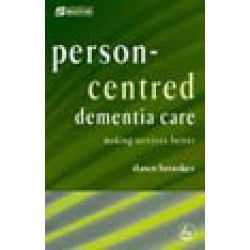 This book gives fresh definition to the important ideas behind and the implementation of person centred care for people with dementia. Dawn Brooker explains the four key elements of person centred care that comprise what she calls the VIPS model: Valuing people with dementia and those who care for them (V); treating people as Individuals (I); looking at the world from the Perspective of the person with dementia (P); and a positive Social environment in which the person living with dementia can experience relative well being (S). With an emphasis on practical application, Person Centred Dementia Care provides care organisations with clear, accessible guidelines on how to put the VIPS model into operation for effective care that is æfit for VIPS. This will be essential reading for practitioners working with and policy makers responsible for people with dementia at all levels.